(TORONTO, ON – FEBRUARY 11th, 2016) Visit the Lexus booth and rediscover how beautiful the automobile can be, at the 2016 Canadian International Auto Show – February 12-21 at the Metro Convention Centre. Highlighting the Lexus display is the beautiful Lexus LF-C2 Concept vehicle – a luxury 2+2 roadster making its Canadian auto show debut. The Lexus LF-C2 Concept is the sports coupe in its purest form. For this concept, Lexus designers achieved a remarkable exterior style influenced by how various surface shapes interact with various types of light. 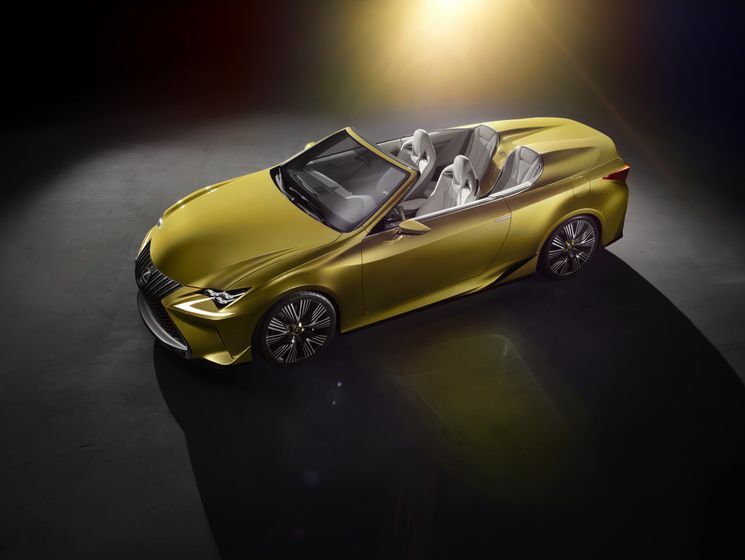 Combined with a unique Lexus layered paint process, this results in a striking and progressive interpretation of an open top luxury roadster. The LF-C2’s promise is elaborated inside, where the luxurious cabin is spacious yet also driver-focused. The dashboard is functional yet simple, anchored by the classically-styled analogue clock that has since become a Lexus signature. Meanwhile, the form-fitting seats and thick, leather-wrapped steering wheel speak of a car designed for exceptional driving fun. The LF-C2 Concept captures the driver’s desire for gorgeous sunshine, warm weather and a winding road. This is the year that the GS gets the “F” series treatment. The all-new 2016 Lexus GS F combines world-class, track-proven speed and agility with the opulence and refinements of a four-door luxury sedan. As with previous models, this latest addition to the Lexus F series of high performance luxury sports cars was tested and proven on some of the most challenging racetracks in the world. The 2016 lineup features several updated models, including the ES 350, ES 300h, GS 350 AWD and GS 450h. All of these – along with the entire Lexus portfolio – will be on display in Toronto, as will several advanced Lexus technologies. These include a virtual reality simulator that lets visitors race a Lexus over a realistic, 3D interpretation of the Fuji Speedway – the “home track” for the Lexus F series of high performance luxury automobiles. This auto show also features the winning design from the 2016 Lexus Canadian Design School Challenge. Students of Canadian design schools were challenged to create an installation for the all-new 2016 Lexus RX 350 display. The winners – Stephanie Brennan, Monica Mahar and Shyronn Smardon – are in their final year of studies at Capilano University’s Illustration and Design Program. Their submission – PULSE: Layered Luxury – received the $5,000 first prize and is being used to showcase the RX 350 at auto shows across Canada this year.